Hello friends! 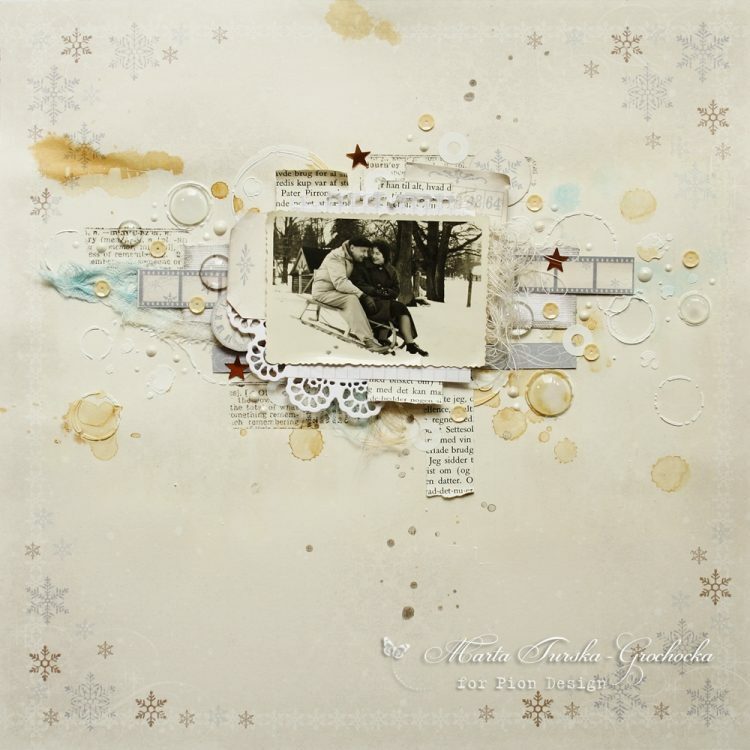 Today I would like to show you my vintage winter layout made of Greetings from the North Pole paper collection. I’ve mixed this beautiful paper sheet with some colorful sprays and with the real tea stains, which created vintage mood on my project. 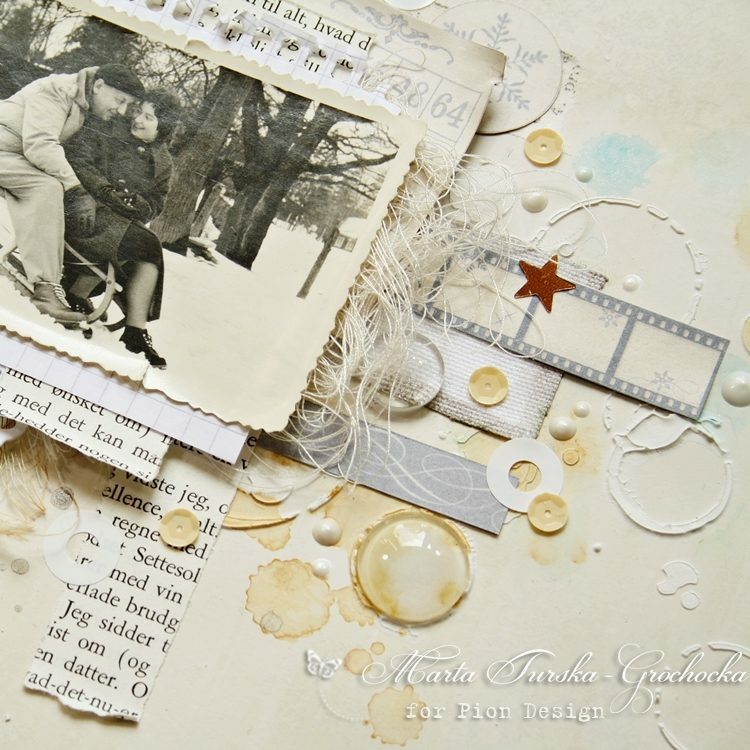 I used some paper elements from the Tags sheet and some cute vintage graphics and borders. 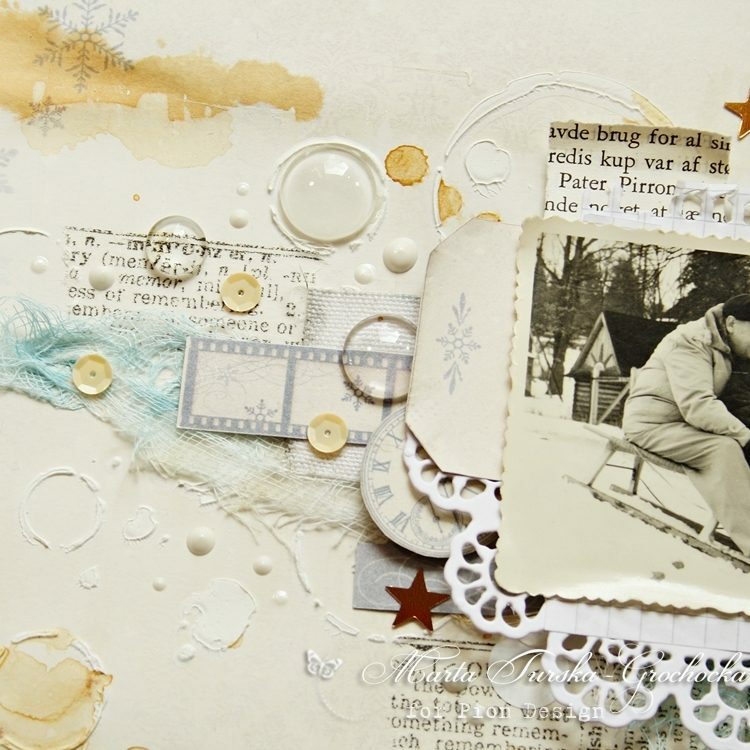 In Greetings from the North Pole paper collection by Pion Design you can find some cool brown and blue shades. Thank you for stopping by, I hope you liked my vintage layout. What a beautiful lay out.